So, we did not end up making it to the next round of project food blog (sad I know) but we were inspired by the next challenge anyway. 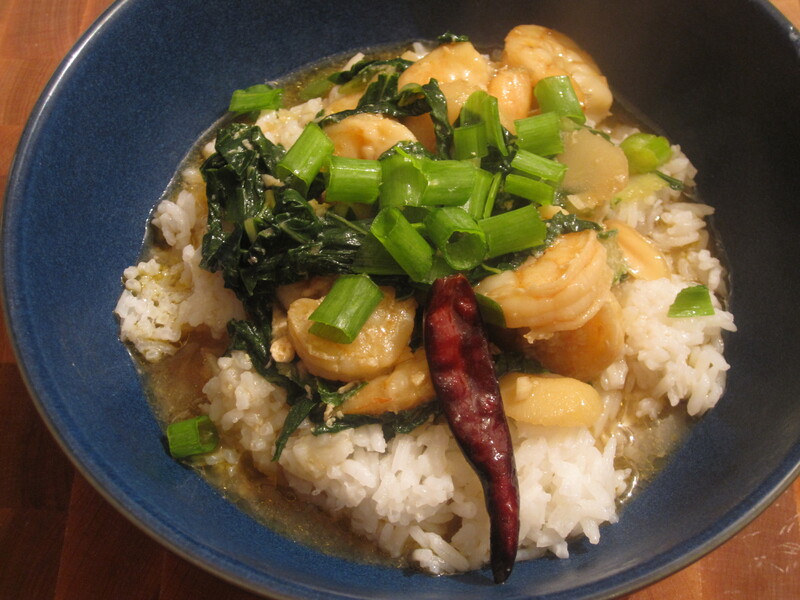 The challenge was to make an ethnic dish that you never have before. Hence, kung pao shrimp. 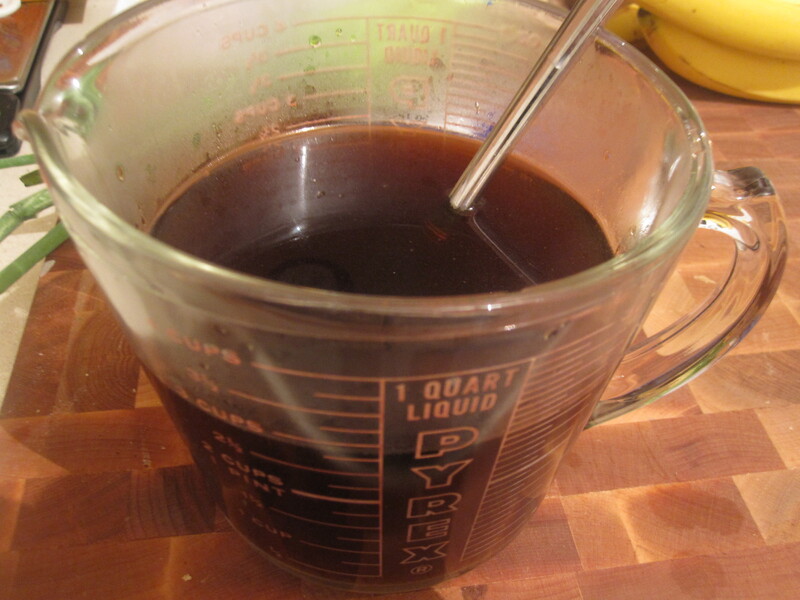 I scoured the internet for a recipe and finally found one to follow. It was seriously on the 4th page of my google search! Overall I was pretty pleased with it. It was not perfect but it was pretty darn tasty. I am fortunate enough to have an Asian market nearby to get some obscure ingredients (all can be substituted for more readily available ones though!). So this dish was not only authentic but also very CHEAP. The only thing I purchased over $2.00 from the Asian market was the shrimp. For the ‘Burghers out there- I went to Lotus in the strip. 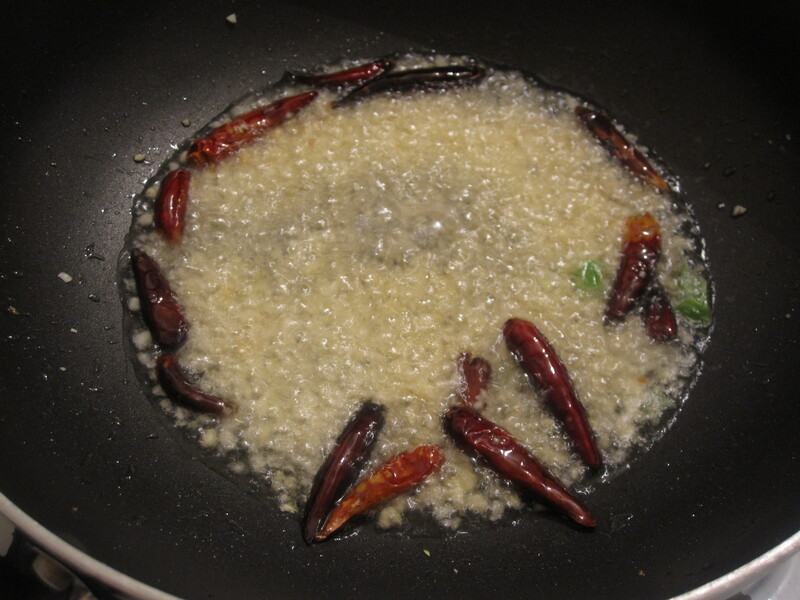 There I got dried red chilis, rice wine, Chinese black vinegar, my veggies and the shrimp amongst some other things for another time. Making the dish was pretty easy. 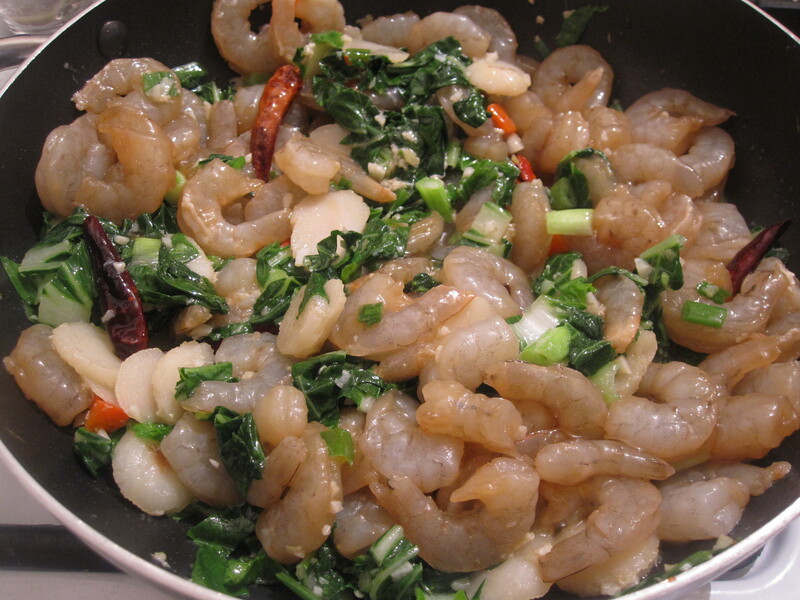 First, I marinated the shrimp in soy sauce, sesame oil, rice wine, egg whites and salt. I’d never seem a marinade with egg whites in it before and I’m still not sure of the purpose. While the shrimp were marinating I chopped the garlic, ginger, scallions, red pepper (which had gone bad unfortunately), and bok choy. 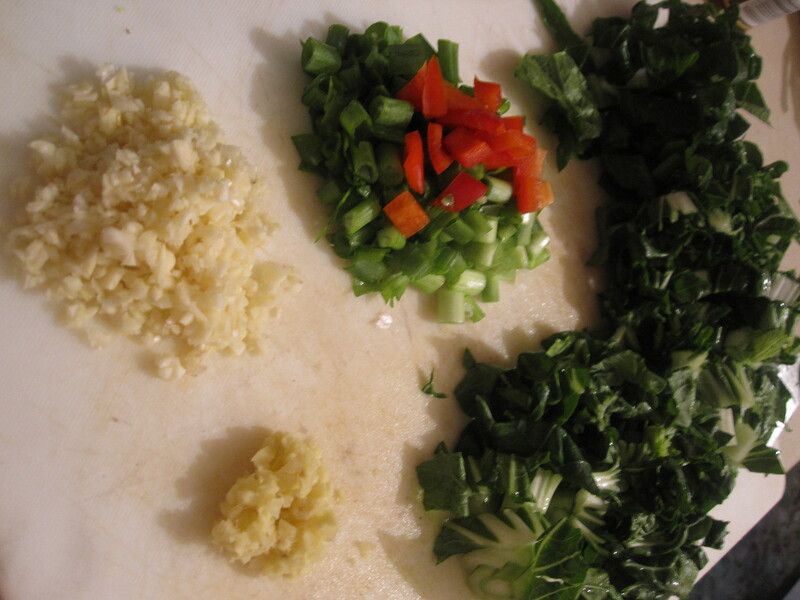 I also prepared the sauce which gets poured in once everything is sautéing. Since all these ingredients were going in at the same time I combined them before hand so I wasn’t scurrying to measure everything and pour it in. Soy sauce, rice wine (brandy will work), Chinese black vinegar (balsamic is fine too), sugar (we used splenda) and chicken broth. 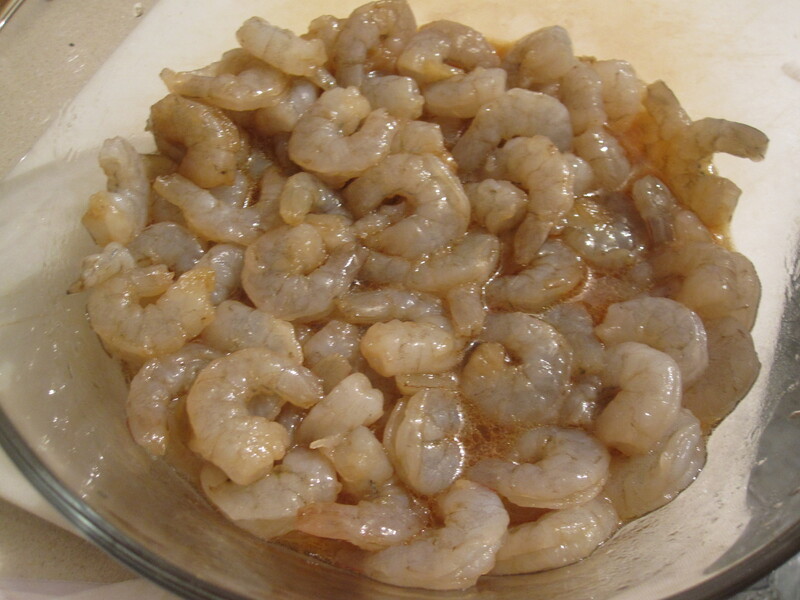 After the shrimp have marinated for half an hour it is time to start cooking. 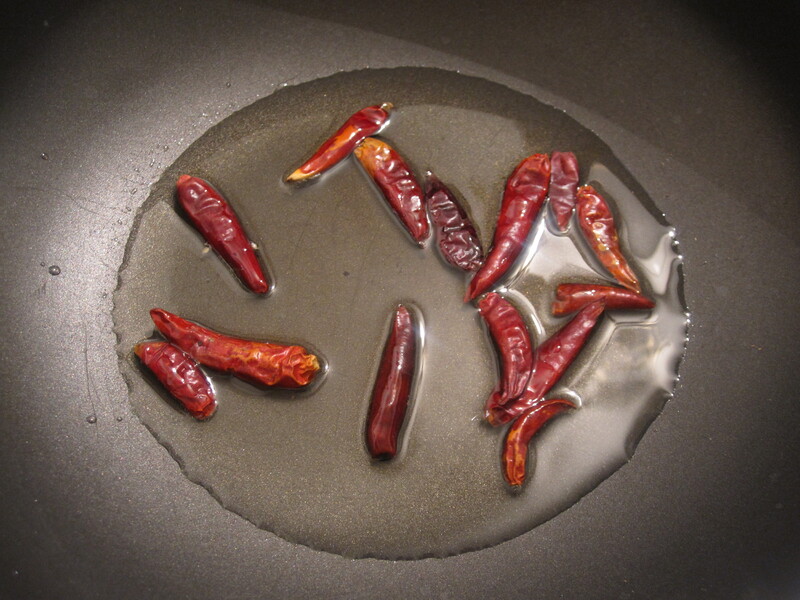 Heat peanut oil in a pan (we only had vegetable on hand) and heat up the chilis until they start to darken. Next add the garlic and ginger. It’ll start to smell really good in your kitchen! 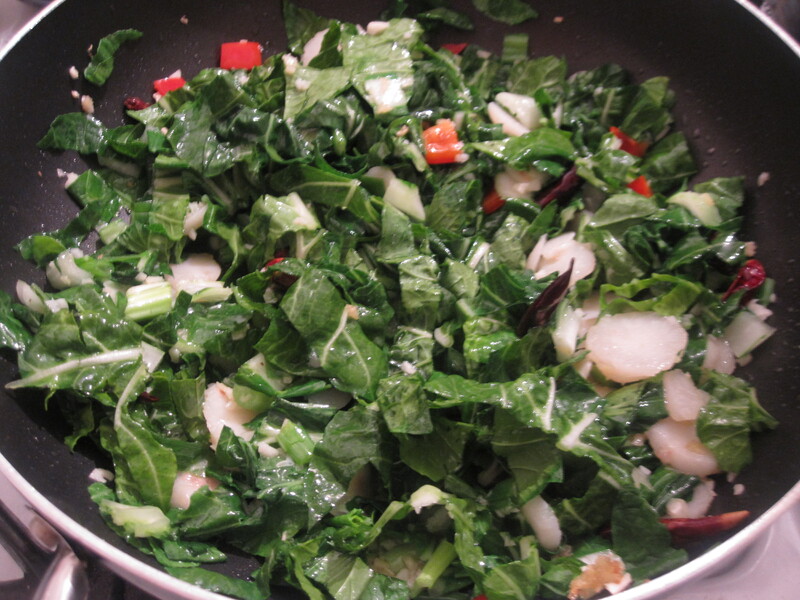 Next, add the veggies- green onion, red pepper, bok choy and water chestnuts here. 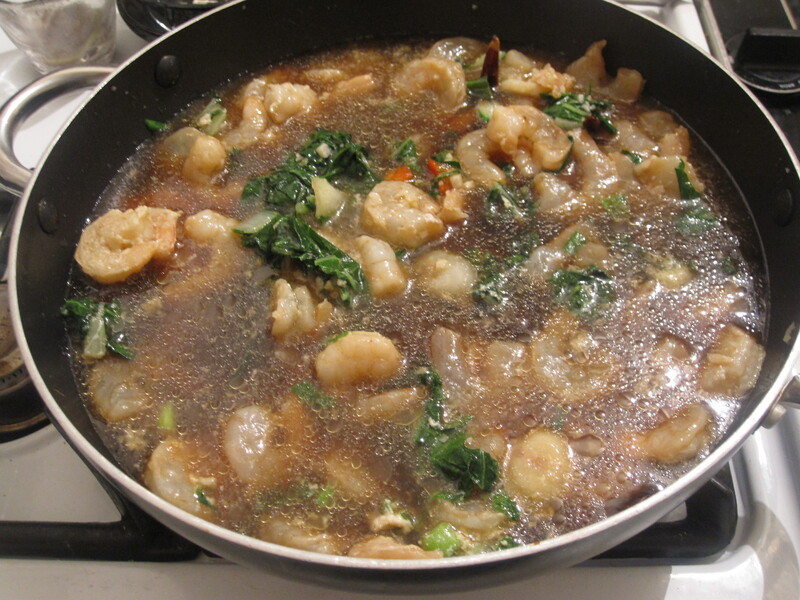 Let that saute for a few minutes and it’s time for the shrimp. Right when they start to turn pink add the sauce. Add cornstarch and let it thicken up a bit. 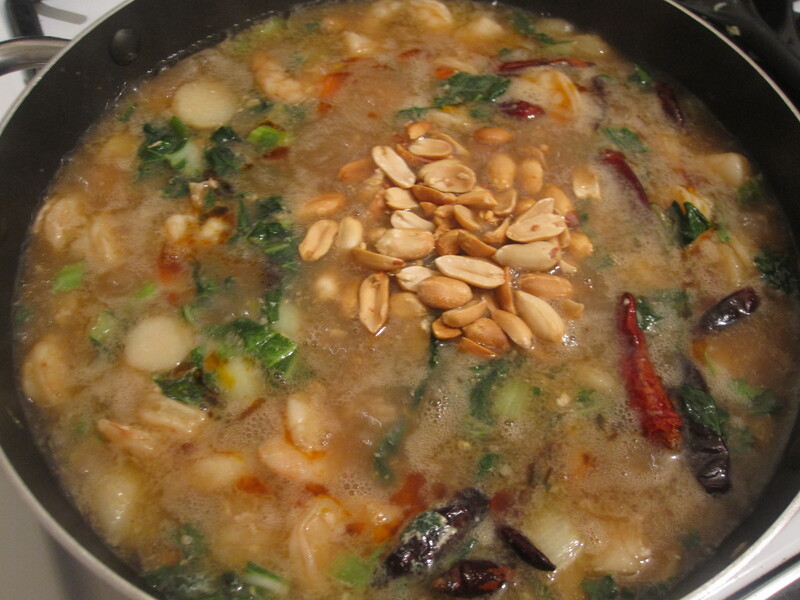 Then add the peanuts and some chili oil if you like it spicy. 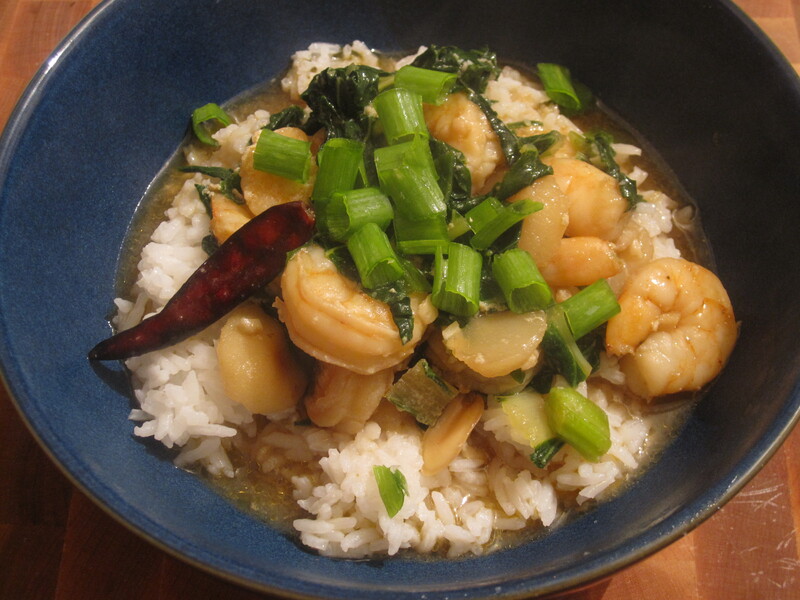 This entry was posted in Seafood and tagged bok choy, Chinese black vinegar, Chinese food, garlic, Ginger, kung pao sauce recipe, Kung Pao Shrimp recipe, low carb, red chilis, rice wine, shrimp, water chestnuts. Bookmark the permalink. mmmmmmmmm LOVE kung pao flavors! It it the one chinese take out dish I cannot perfect at home. maybe that chinese black vinegar is the key!! Will have to look for it!